Blogging can be a great income source…but it can also be one of the most frustrating online businesses you’ll ever try. Against income reports of bloggers making six-figure salaries, most new bloggers are quickly frustrated at countless hours of work that never seem to pay off. The result is that 95% of new blogs aren’t updated after six months as bloggers quit before their dreams are fulfilled. One of the most important factors in the success of a blog is simply time itself. It takes time to gain the links that bring Google traffic and it takes time to build a following of readers. There is one way to give your blog the time it needs to start making money while avoiding the frustration that comes with spending every minute of your free-time working on it. 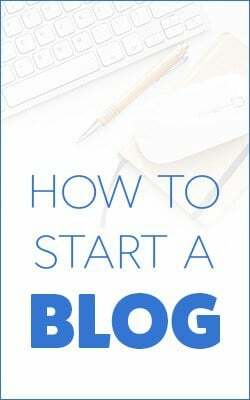 First though, if you haven’t started your blog yet, read this Ultimate Guide to Start a Blog and grab this special offer from Blue Host for webhosting, just $3.95 a month. The trick to starting a blog and giving it the time to grow without the burnout is to not commit too much time for the first six-months or a year. That might sound counter-productive. How do you grow a blog without working on it? The idea is two-fold here. First, by only spending five hours a week on your blog, you only worry about the most important tasks. Instead of worrying about running ads, building courses and spending hours on blogger SEO, you focus on a very short list of must-do tasks. It’s the 80/20 rule for blogging and the way to most efficiently spend your time. Since you only have five hours a week, you’re only going to be able to do that 20% of the work that accounts for 80% of your progress. The second benefit of this approach is that it’s difficult to burn out on just five hours a week. I’m kinda ashamed to admit this but I watch more than five hours a week of The Simpsons and Bob’s Burgers and they’re all reruns! Point is, you can do anything for five hours a week and not feel like it’s a drudge and I’ll bet you’ve got at least five hours you’re wasting. Keeping your blog fun, only spending five hours a week to get posts up and some social sharing is going to keep it more like a hobby than a job. Keep to your five-a-week schedule and I guarantee you’ll start noticing growing traffic and income within a year. With this base, you can start looking further out to exactly where you want to take your online asset. Follow this guide for getting the most out of your weekly blogging and growing your business. A blog without content isn’t much of a blog…or much of anything. In fact, if there’s one thing you absolutely have to do every week, it’s post an article. Every. Single. Week! Without articles, you’ve got no way of getting links and there’s no reason for readers to come back. You don’t necessarily have to write Pulitzer-prize winning posts or huge guides but posts should be between 800 – 1,500 words. Here are some article strategies that are popular with readers but also fast to put together. List posts are an all-time favorite among bloggers, any list over 10 is bound to get traffic and links. Personal experiences, anything with a quick personal story and a life lesson. Exchange guest posts with other bloggers. Guest posting is a link-building strategy that works great for getting Google Love but it means writing on someone else’s blog rather than your own. Cut your time in half by asking them to provide a guest post on your blog as well. Personally, I don’t think social media is ALL THAT for bloggers. I know this is sacrilege but Google Analytics just don’t lie. Most blogs get less than one-in-six visitors from all social media combined and it’s under 3% for most individual social platforms including Facebook, LinkedIn and Twitter. But social media is much more important for new blogs. That’s because you haven’t quite built up your other sources like search traffic and referrals. That means you need to spend an hour a week sharing and promoting your blog. Do this for the first year to get the word out and then decide if social is really worth your time [hint: it doesn’t have to be…I’ve given up on most platforms]. Focus on Facebook and Pinterest. These are the two biggest traffic sources for most blogs. Create a page for your blog. Share your content when it’s published and share other blogs’ content once or twice a week. Experiment with other platforms like Twitter and Instagram to see if they work well for your audience but don’t feel like you have to have these accounts if they’re not producing traffic. Readers of the blog will know I’m a big believer in self-publishing for bloggers. 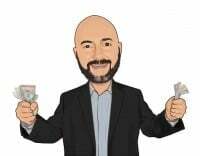 It’s a natural fit because you’re already creating the content and it’s an instant income source because you can publish on the largest e-commerce site in the world. The best part is that self-publishing requires almost no additional work beyond that five hour blogging strategy! While you’re sitting there trying to brainstorm article ideas, think about a broader topic or something on which you could write a book. Then plan the chapters or steps needed to get to the transformation you want to achieve in your readers. Those chapters become blog posts that you’ll write every week. Once you’re done posting each, put them together and reformat. That’s it! 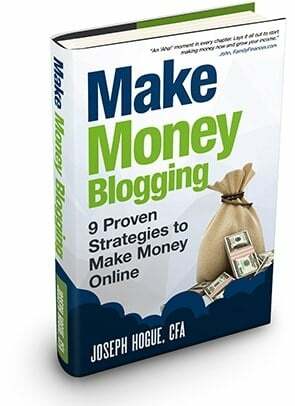 You’ve got a book to publish and a monthly income stream that doesn’t depend on your blog traffic. You can also turn blog posts into printables to sell or use as lead magnets for your email list. It’s all about making your work go farther so it takes less time. 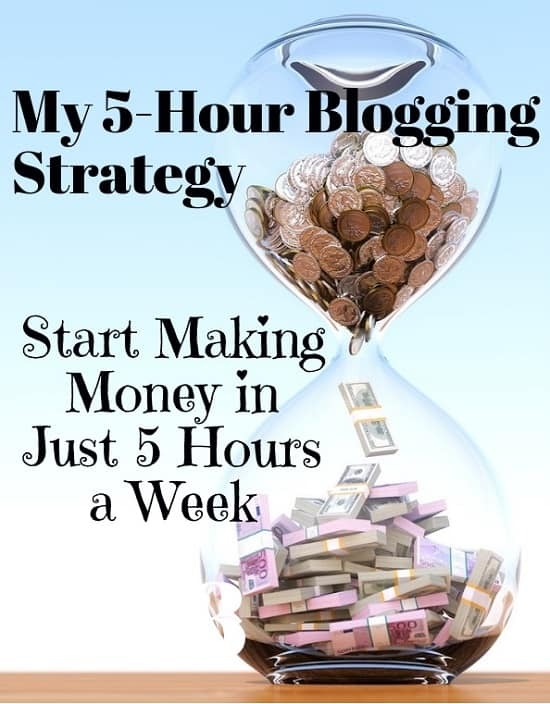 This part-time blogging strategy will take less than five hours a week but will build a following for your website that will grow over time. Take it easy and have fun with your new blog and give it at least a year before making any big decisions. 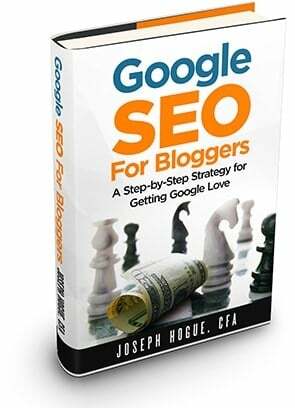 You’ll notice more traffic and the money will start coming in within a year and you might even be able to replace your regular income blogging within a year or two. 1)I have tried several “survey” sites (Swagbucks and others), but I am almost 70 years old and the “survey” sites aren’t interested (or at least don’t seem to be interested) in my opinions. I have sat sometimes for hours starting surveys only to get through the preliminaries and be told I don’t qualify. So survey sites don’t seem to be an option. 2)I have looked into teaching English online. And while I do have an AA degree, I do not have the BA or BS that the sites I have looked at list as a prerequisite. 3)While I am fairly articulate and enjoy writing, I have yet to find a “niche” that would fit my interests. My AA degree is in fine art. I like writing, I enjoy knitting, crocheting, and quilting…yet seem to be only fair in the outcomes. 4)I enjoy sewing and have had a few paid “gigs” over the past ten years. In this endeavor I don’t know how to advertise my “business” without having to spend money I do not have. 5)I also enjoy reading yet my eyesight over the past five years seems to limit the time I can spend on the computer or even reading books. 6)I play piano but again my eyesight, my level of ability, and making my willingness to teach known seem to be limiting factors. I am aware that I can DO many things, yet I feel so frustrated in not knowing how to profit from them or just share them to pass them on. I do not have thousands of dollars or hundreds to spend on seminars or products or books or mentoring, etc. In fact, I have very little EXTRA money. I guess I am looking for one or more directions or options I might explore and possibly follow up on. Thank you for your time, Linda S.